Provide your clients the possibility of asking you a question via eMail, send confidential documents immediately – it will be transmitted to you spontaneously and securely. 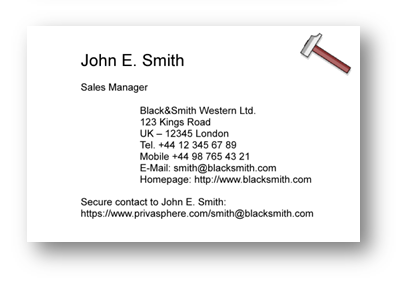 Integrate the Secure Contact Link in your website, in your mail footer or on your business card. Hyperlink: insert the URL of your companies homepage (including ). When clicking on the logo, the user is taken to this web-page. Spam Protection: a Spam protection (graphical text) will be displayed. A sender has to type it in a field. To define the display language different to the account setting, use the additional command "?lang=". The arguments are "de" (German), "en" (English), "fr" (French), "it" (Italian). 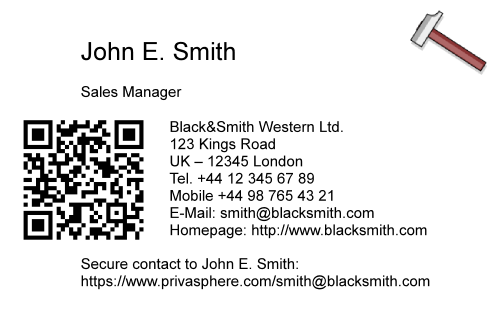 In your profile PrivaSphere generates a 2D barcode for publishing on your business card, your flyers or other material. 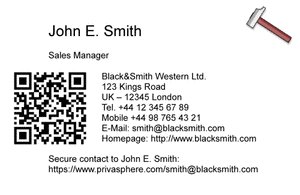 This 2D barcode can be scanned with smart phones and opens immediately your Secure Contact Form. 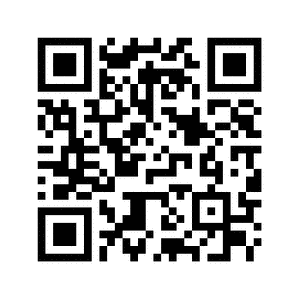 You will find the 2D barcode in 'My Account' - 'Secure Contact' - 'QR-Code for Smart-phones'. On request structured Secure Contact Forms are available. 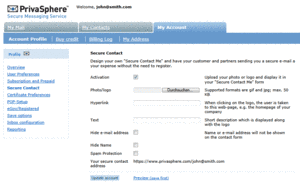 Structured Secure Contact Forms for eGov use. This includes checks as simple field checks, signature checks for uploaded digitally signed pdf attachments and signature validation reports provided by the Federal Office of Justice. 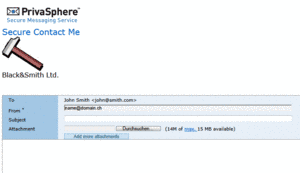 If the recipient email address is visible, make absolutely sure that this is the legitimate e-mail address of this person - for example contact the recipient out-of-band. 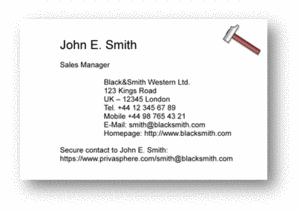 Check whether the recipient's web-page or business card has a link referring to here. Furthermore, please ensure that your are on the correct site and that you do not leave unwanted traces on the machine from which you are sending this. You certainly know the problem of mailing a link to a recipient who then complains because in transit, a line-break was entered or alike and your recipient only sees a 404 error (http://en.wikipedia.org/wiki/HTTP_404). 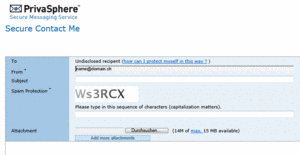 There is a variety of unencrypted link shorteners available freely. due to the unencrypted nature of your HTTP response and the corresponding service responses - anybody along the route your request IP packets take can observe/record/correlate/... what exactly you do. Just login, go to your Contact Form and at the bottom, add your link. a quite short available random link will be proposed - you can overwrite this with some meaningful string, but it might already be taken. the string may only contain 7bit/US-ASCII non whitespace, no special characters - e.g. 'JohnDoe'. Additionally 'underscore' i.e. '_' is allowed. The long link allows more character types as your long URIs "in the wild" also have a lot more, but to avoid attacks also there, not everthing is allowed. How may it looks like? 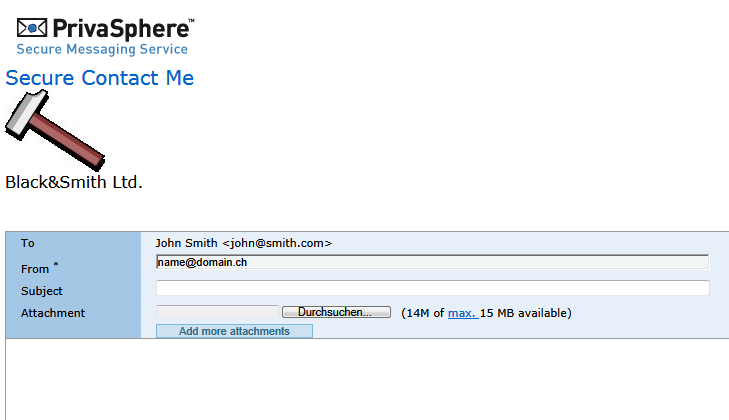 If you expect to add multiple short-links per day, you might want to add a Brower-Bookmark with your eMail address in. PrePay users add up to 20 links per day - owners of a subscription can go higher. Up to 50 lookups per link and day. 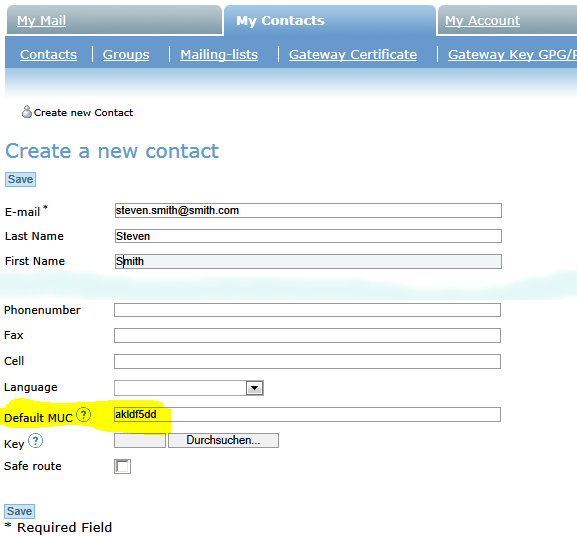 Create and manage contacts online and send messages to them without misstyping their eMail addresses. 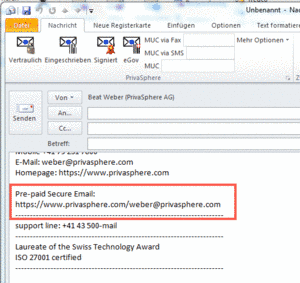 Reach recipients with encryption such as S/MIME or PGP/GPG even if you do not have PGP software installed or if you do not own a S/MIME certificate yourself. In this case, no MUCs will be needed. 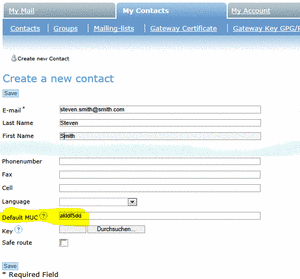 We recommend activating your 'secure contact form' to ease replying to your recipient. It is your responsibility to remove the key once it is invalid or compromised. Once your recipient enrolls himself to the service platform, the key you uploaded for him will no longer be used, but s/he will be served according to the recipient preferences set. For electronic registered secure eMail, this feature is not available. You will have to look up the MUC from the sent message if needed. You may prefer to agree with your recipient on a personal, repeated MUC. This convenience option reduces the security of your secure exchanges. This feature is only available as long as your recipient has not registered with this service. The minimum length of a pre-defined MUC is 5, the maximum 20 characters. PrivaSphere recommends that after the recipient has become familiar with the system, motivate him/her to fully register for best security. 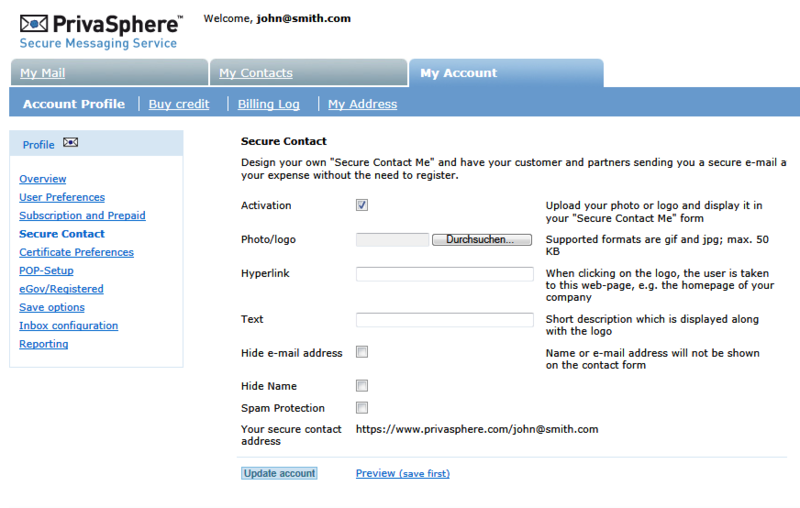 For "security-experienced subscribers", PrivaSphere Secure Messaging offers the function 'set-MUC' in the web interface. This allows to supress or define a MUC in the sending process. 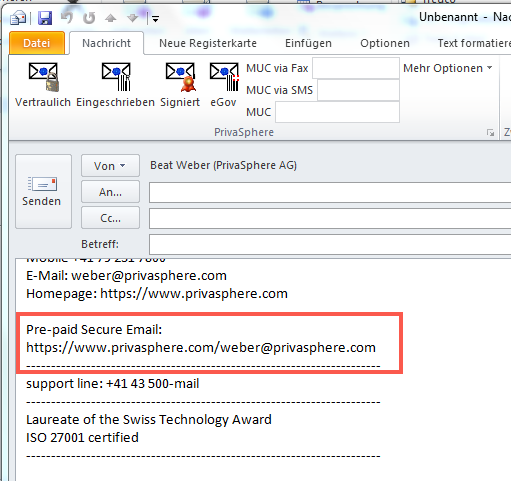 To enable this function please contact our sales representatives (http://www.privasphere.com/info@privasphere.com). Set a password (>20 characters) ans press 'safe'. Pressing 'Generate' will generate a good random password for you. 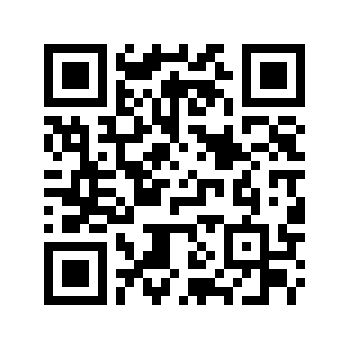 All incoming emails will be forwarded as attached encrypted PDF files. 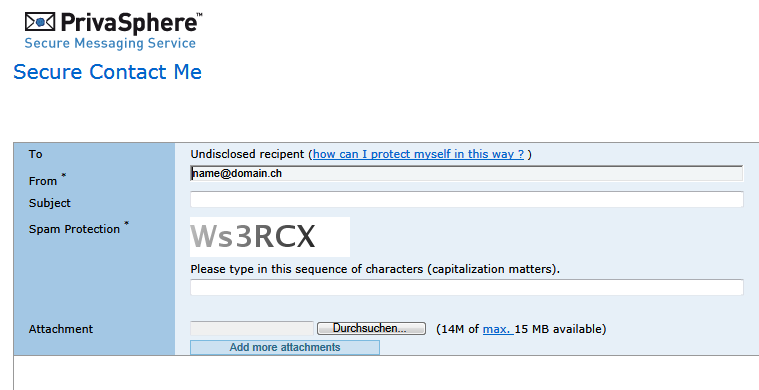 The PDF is encrypted with at least 128-Bit RC4 encryption (symmetric) and can be opened with a password. 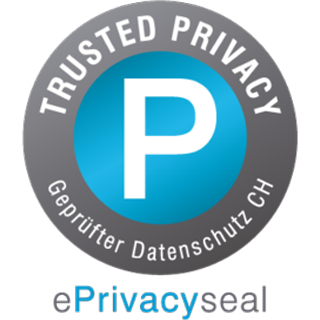 PrivaSphere Registered Secure eMails™ and PrivaSphere™ eGov Registered Secure eMails are sent as encrypted PDF after acceptance in the web interface. To switch the function off, just press the trash icon and press 'save'. Als Prepay – Nutzer können Sie Ihre Kommunikationspartner generell für den Verkehr mit Ihnen sponsoren, sobald diese auf PrivaSphere ein Empfangspasswort besitzen. Wenn Sie eine ähnliche Funktionalität bei einem Abonnement wünschen, so kontaktieren Sie uns bitte. Gehen Sie unter zu "Meine Kontakte" und aktivieren Sie das Sponsoring. Auch Ihre Kommunikationspartner können somit von Ihren Volumenrabatten bzw. SIK-Konditionen profitieren. Um den Status des Sponsoring für einen Kontakt zu erfahren, öffnen Sie den entsprechenden Kontakt. Sponsoring kann auch hier wieder gelöscht werden. Alternativ wird der Status auch beim Drücken von 'sp' angezeigt - sofern der Kontakt schon gesponsort ist.